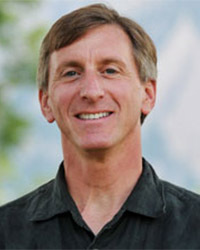 Paul Komor was the founder of CU’s energy certificate programs and was CU’s Energy Education Director from 2009 to 2014. He has taught energy courses at CU since 1997, and is currently a Lecturer in CU’s Environmental Studies (ENVS) department. Prior to joining the University of Colorado faculty, Paul was a Project Director at the U.S. Congress’ Office of Technology Assessment (OTA), where he worked with both House and Senate Congressional Committees in preparing and evaluating energy legislation. His 1992 report, "Building Energy Efficiency", played a major role in the debates that culminated in the Energy Policy Act of 1992. Prior to joining OTA, he taught at the Woodrow Wilson School at Princeton University. He holds a B.S. from Cornell University, and a M.S. and Ph.D. from Stanford University. He has published numerous refereed articles, reports, and other papers; and in 2004 published a book, Renewable Energy Policy, that compares U.S. and EU experiences with renewable energy policies. That book is required or recommended reading for courses at University of California, Santa Barbara (UCSB), University of Denver (DU), University of Utah, Robert Gordon University (UK), and elsewhere. In 2001, Paul was awarded the Diebold Foundation Fellowship for European policy studies and spent 2001 as a Visiting Academic in the Environmental Policy Group at Imperial College, London. In 2005, Paul was selected as the 2006 MAP/Ming Visiting Professor of Energy and the Environment by Stanford University, where he spent six months at Stanford researching and teaching on renewable energy policy and technology. In 2007, Paul shared in the Nobel Peace Prize awarded to Al Gore and the Intergovernmental Panel on Climate Change (IPCC) “for their efforts to build up and disseminate greater knowledge about man-made climate change, and to lay the foundations for the measures that are needed to counteract such change." The IPCC consists of a large number of scientists and researchers – including Paul, who co- authored a chapter on “Mitigation Options for Human Settlements” in the IPCC’s Second Assessment Report. For his work with the IPCC, Paul was named a contributor to the Nobel Peace Prize. D. Hyde and P. Komor, “Distributed PV and Securitization: Made for Each Other?,” The Electricity Journal, Volume 27, Issue 5, June 2014. Komor, P., A. Hoke, and R. Kempener, "Seven Steps to a Smarter Grid," The Electricity Journal, Volume 27, Number 2, March 2014. A. Hoke and P. Komor, "Maximizing the Benefits of Distributed Photovoltaics,"
The Electricity Journal, Volume 25, Issue 3, April 2012. G. Stockmayer, V. Finch, R. Mignogna, and P. Komor, "Limiting the costs of renewable portfolio standards: A review of current methods," Energy Policy, Volume 42, March 2012. M. Bazilian, P. Komor, et al., "Considering the energy, water and food nexus: Towards an integrated modeling approach," Energy Policy, Volume 39, December 2011. S. Kaufman, P. Komor, B. Langdon, and P. Vallett, "Electricity Storage in Regulated Markets: Getting the Rules Right," The Electricity Journal, Volume 24, Issue 6, July 2011.